Teague took a long slow drag off his cigarette, even knowing the glowing tip could give him away. He didn’t give a damn. He needed a glimpse of the kid…to be sure he was safe and relatively unharmed. The voices in the dilapidated joke of a house raised. The father’s gruff mutterings carried less in the wind than the woman’s shrill pitch. Doors slammed. A light came on in the back room—the one Teague had been waiting for. He took a few tentative steps closer, pine needles and dried leaves crunched beneath his boots. He pressed his back against a tree and took another drag. He’d kept his primary form for Manna—for earth—to conserve energy, but dressed in dark jeans and dark hoodie to cover his light hair to blend into the dark. He doubted anyone would see him. There was no reason someone would hide in the woods stalking an unimportant boy like Vern. Certainly not the boy’s family, they had no idea Teague existed. Even if they looked out the back windows and stared right at him, they probably wouldn’t see him. And if they did? He’d influence them to think they hadn’t. So why was he worried? Probably because Teague’s brother, Zepher, wouldn’t like him watching Vern so closely and so passively. But it wasn’t time, yet. The boy was only sixteen, a rëisch—a baby. His life had already been hard enough from what Teague had witnessed. He pulled a folded eye from his back pocket and shook it out, popping it into an elongated shape. He’d become overly comfortable using such tools, knowing the cost. They weren’t always necessary, but they were helpful. He put one end up to his eye and peered through it. He needed to be sure Vern was okay. From the moment he set eyes on Leona Underwood, he recognized her as his, but he let the opinions of his father stop him from acting on it. The familia using her as an informant against a rival family didn’t exactly lend itself to happily ever after either. Leona was a broken woman. She’d seen a lot of horror in her lifetime. Her childhood sucked, she’d sold her body to survive, but had ended up working for a crime family that actually seemed to care about her. When a way to help them presented itself, she did it willingly, but paid a terrible price. Now she was scarred, both inside and out, and convinced that no one could ever want her now. When she disappears, it brings Tony to his senses, and he knows he has to convince Leona that she was exactly his kind of beautiful. The first book in a new series by Maia Dylan, I am excited to read more. The Carlisi familia are under attack and when their Poppa is taken it is time strike back. Great characters and a well delivered storyline made this and fabulous start to this series. His Kind of Beautiful continues from where Angel Mine concludes and continues the story of the Carlisi Familia. Tony has lost one of the most important people in his life and he will not lose the other. Determined to bring rest to the family he and his brother set out to take back what is theirs. A compelling short read this one kept me engaged with its realistic characters and story. I would definitely recommend this book and series. Once a celebrated model, Evelyn Beckham dominated the fashion runways of New York, Paris, and Milan. But life under the lights nearly destroyed her, and at the height of her career she walked away from it all. Now, five years later, Eve’s built a new life at the helm of Manhattan’s premier high-end lingerie boutique, L’opale. Chosen to design the bridal ensemble for billionaire Dominic Baine’s fiancée, Avery Ross, it seems Eve’s stars have finally realigned-until her return to the spotlight thrusts her into the crosshairs of a danger that’s been watching from the shadows, waiting for the chance to strike. Gabriel Noble didn’t go to war to become a hero, but when he returned from the battlefield in Afghanistan it was with a chest full of medals and a broken body filled with shrapnel. Losing his leg derailed more than Gabe’s career, and when no one else was willing to take a chance on him, Baine International put him on their security team. 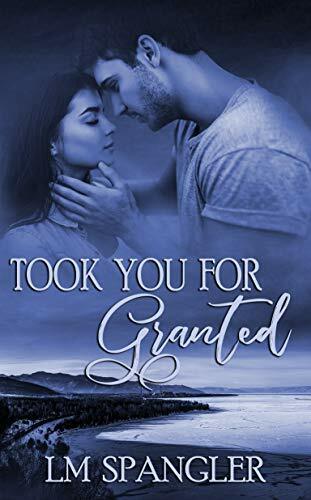 Now, Gabe would do anything for Dominic Baine-including keeping a covert, protective eye on beautiful Evelyn Beckham as a personal favor to his boss and friend. But keeping Eve safe means keeping her close, and soon the lines between duty and desire begin to blur into a consuming passion too powerful to be denied. With Eve’s life in escalating peril and her faith in him certain to shatter, Gabe will have to risk everything to protect her while facing the most intense fight of his life . . . the battle for Eve’s heart.